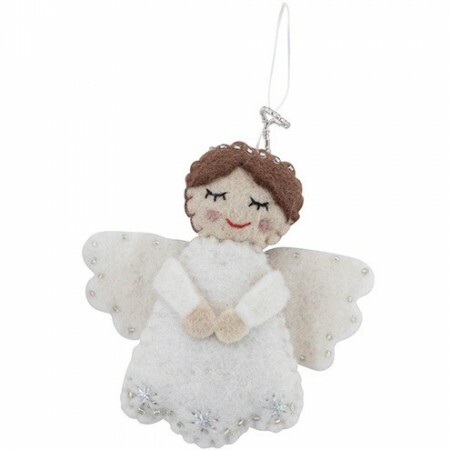 This felt Christmas hanging decoration is fairtrade and handmade in Nepal. 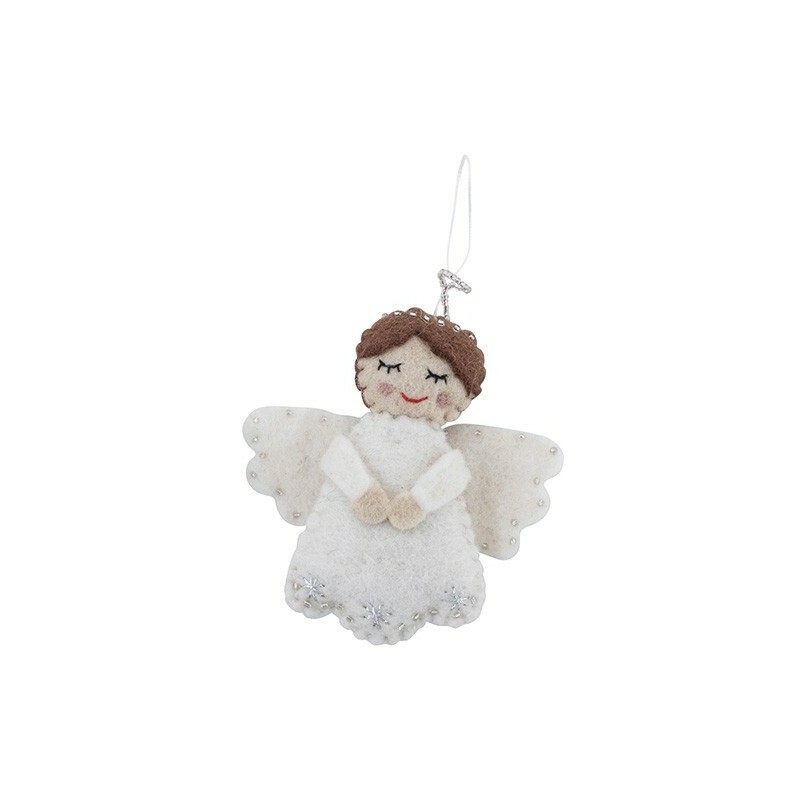 White angel with halo and wings. Price is for one decoration. White angel with halo and wings. 18 (H) x 12 (W) cm.